It melds natural science and photographic splendor. 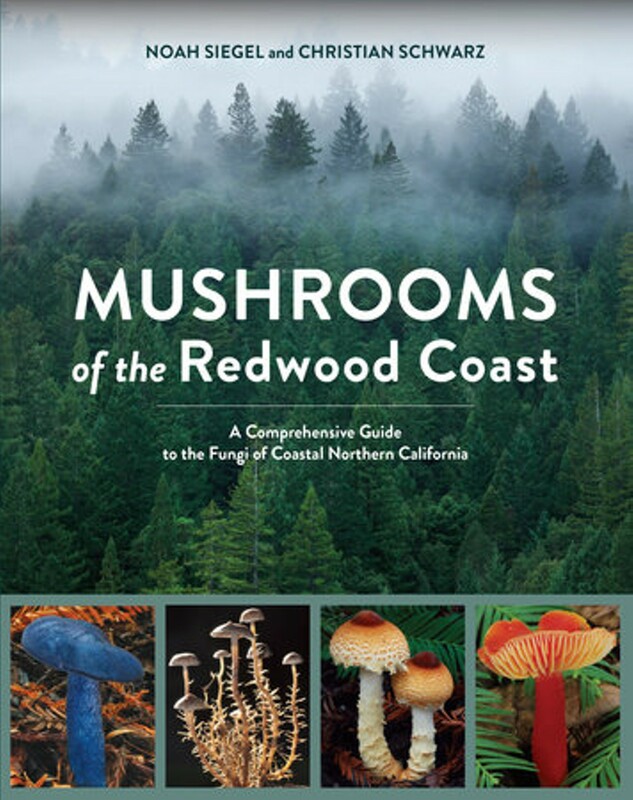 Christian Schwarz will discuss Mushrooms of the Redwood Coast at Pegasus Books (2349 Shattuck Ave., Berkeley) on September 1, 7:30 p.m.
Christian Schwarz's introduction to mycology, the study of fungi, fittingly began with a field guide his brother received for Christmas one year. The pair hiked into the woods above Santa Cruz after a torrential rainstorm and found a seemingly endless variety of colorful mushrooms shaped like toadstools, horns, and shells. They leafed through the guidebook, an Audubon-like catalog, trying with mixed success to match pictures and textual descriptions to the fleshy earthen fruits they gathered. For Schwarz, the experience sparked a lifelong interest in the natural sciences. Noah Siegel's education as a mycologist began similarly with a youthful fascination in forest ecology. Siegel grew up romping through the woods in Massachusetts, where he still lives. But his interest in mushrooms has repeatedly brought him to Northern California, a rich bioregion, and a hub for mycophiles — people who love the culinary, scientific, and cultural aspects of mushrooms. Schwarz and Siegel met at a mushroom club foray in 2008 and became friends. They traveled to the conifer forests of Humboldt and sea-swept hillocks of Monterrey to search for edible, medicinal, poisonous, and simply strange fungi. Eventually, they hit on the idea of co-writing a field guide to the mushrooms of the region they love so much, a place they're calling the Redwood Coast. 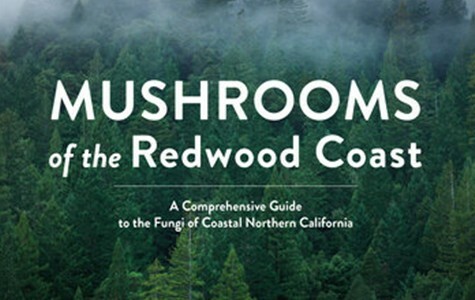 Siegel and Schwarz's book, Mushrooms of the Redwood Coast, was released earlier this month. 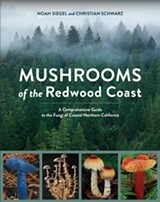 As a mycophile myself, I can say that Mushrooms of the Redwood Coast is the best mushroom field guide yet written for northern California. And that's quite a feat. Existing shroomers' bibles like David Arora's 1986 Mushrooms Demystified and Dennis Desjardin's 2015 California Mushrooms, were both written by Northern California authors who steeped their books in local wisdom, photos, and descriptions. But Siegel and Schwarz's content rivals other top-notch naturalist tomes, without any of the worst features found in many field guides, such as worthless monochromatic drawings, overly-technical keys, and frequently inaccurate species range maps. Their book has a humble regional focus; they don't stray beyond the dirt that they themselves have walked on. The authors personally observed and photographed every mushroom that appears in print. By sticking to the Redwood Coast, they've produced an impressive catalog of the region's common and exceedingly rare mushrooms. "We're trying to raise awareness of the diversity," Siegel said in an interview. "We need guides like this for every region of the country." Because Siegel and Schwarz defined the region themselves, it's debatable whether it makes scientific or cultural sense. The live oak savannahs and tangled manzanita shrubs of the coastal range's eastern peaks and valleys sustain a very different fungi ecosystem than the dense redwood and fir forests north of Sonoma County. Temperature extremes and precipitation vary enormously across the so-called Redwood Coast. But Schwarz appreciates the multitude of climes and flora across the five hundred miles of shoreline. "It's the diversity of the region I like the most," he said. "I can hike a deep dark redwood forest one day, then the next drive five minutes the other direction and hike a drier oak chaparral." The book was years in the making. "We pretty much lived out of Noah's Prius," said Schwarz about their excursions up and down the state. Near Carmel on the Central Coast, they hiked the only native forests of Monterrey cypress trees in the world and photographed Agaricus, a rare genus endemic to that tiny isolated habitat. A friend of theirs found an entirely new species while foraging in Prairie Creek Redwoods State Park far to the north. In the book, they named the miniscule and dingy mushroom that grows on decaying maple leaves in her honor: Pouzarella alissae, or Alissa's Pouz. Siegel and Schwarz describe several new species in the book, and they have a few academic papers about these finds forthcoming. The book's tone — scientific, but without obscure taxonomic terminology — makes it an accessible reference containing over seven hundred different species of mushrooms that grow between the Oregon border and southern Monterrey County. Full-color, beautifully composed photographs on every page show attention to aesthetic detail as well as important phenotypical traits of different species necessary for identification. The amateur naturalist and hiker will benefit from this book, as will the gourmand in search of boletes or chanterelles for the table.